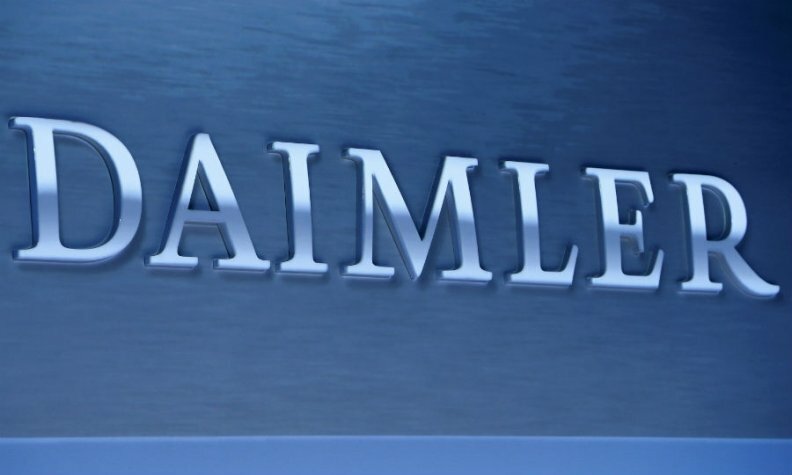 MUNICH -- Daimler said it will push back against allegations that it manipulated emissions in its Mercedes-Benz engines, as a German government probe into the premium automaker deepens. "We would employ all legal means" to defend against any accusation by the Federal Transport Motor Authority of an illegal defeat device in Mercedes-Benz cars, the company said Friday in an emailed statement. Daimler was responding to an article in Der Spiegel magazine which said government examiners suspect that such a device was built into some vehicles. Daimler's statement comes a day after top executives were summoned for a special meeting to Berlin to discuss an ongoing probe into the carmaker's engines, and hours after the German government said it would expand its examination to include additional models. Germany's motor transport authority, or KBA, which is also looking into potential emissions violations at other carmakers, will oversee these additional tests, Transport Ministry spokesman Ingo Strater told reporters in Berlin on Friday. On Thursday, details emerged that two engines used in Daimler's Mercedes-Benz cars were being scrutinized by Stuttgart prosecutors as part of an investigation they opened in March. "The KBA is testing vehicles from Daimler, just as it has done with other manufacturers in the past," Strater said. Germany's scrutiny of Daimler deepens concerns that defeat devices used to cheat on emissions tests were used more widely than initially thought. Volkswagen Group was the first vehicle manufacturer to be caught, admitting in September 2015 that it used the technology in about 11 million cars. At Daimler, German prosecutors are focused on two diesel engines built between 2008 to 2016 that are used across Mercedes' product lineup, according to a person familiar with the investigation. Details about the engines in question were contained in a search warrant used to conduct raids at Daimler sites in May. "For us, the discussion was a continuation of the constructive dialog with the KBA," Daimler said Friday. "Of course we will continue to work constructively with the authorities." German automakers last year agreed with authorities on a voluntary fix involving 630,000 cars to upgrade emissions control setups. The Transport Ministry said in a statement following the Friday press briefing that Daimler doesn't face a recall and that the manufacturer was cooperative and agreed to the KBA's checks. After the revelation of the new details, South Korea's environment ministry started a probe into some imported Mercedes vehicles, Yonhap news agency reported. The ministry found about 40 types of cars suspected of carrying a device manipulating emissions and is investigating how many of the vehicles have been sold in the country, according to unidentified official. "It's quite disconcerting that this investigation is happening and the accusations are serious," Baden-Wuerttemberg state Transport Minister Winfried Herrmann told Deutschlandfunk radio. "We need unreserved clarification of the whole process and responsibilities." Thursday's meeting at the federal Transport Ministry included Daimler's head of technology development, Ola Kaellenius, who reiterated that the company complied with existing rules, according to a ministry statement. EU emissions rules allow for carmakers to reduce the degree to which exhaust gases are treated, if deemed necessary to protect the engine in tough driving conditions like low temperatures or high altitude. While reports of 1 million Mercedes diesel cars at risk of decommissioning because of emissions violations "look bad," according to a note from Citigroup analyst Mike Tyndall, they're not "a new development as such, and we take comfort from Daimler's continued assertion that its vehicles comply with the relevant, albeit somewhat loose, regulations." As part of its efforts to clear up mounting questions about the reliability of emissions controls in diesel cars, the Transport Ministry is due to meet manufacturers on Aug. 2 to discuss steps to clean up older vehicles, including software updates. A number of cities, including the hometowns of BMW Group and Daimler, have considered banning older diesel cars. The KBA has also looked into potential emissions violations at Volkswagen's Audi, Fiat Chrysler Automobiles and General Motors' Opel.